3 ft. x 5 ft.4 ft. x 6 ft.12 in. x 18 in.16 in. x 14 in.2 ft. x 3 ft.5 ft. x 8 ft.6 ft. x 10 ft. 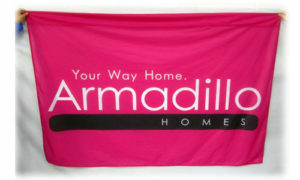 When you order custom flags from The Flag Makers, you are ordering directly from the manufacturer. Here are no third-party fees, no markup prices, and no delays in processing. We will work with you from start to finish to ensure that you are completely satisfied with your experience and the finished product! 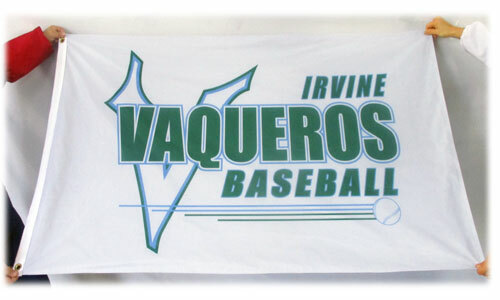 We happily accept orders of all sizes., Whether you’re looking for a single flag or you want to order thousands, we can complete your order. 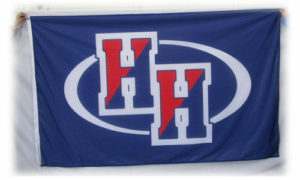 The Flag Makers has been manufacturing custom flags since 2005. We use the latest printing technology in silk screen and dye sub printing. Our flag fabricators are among the best in the flag industry. 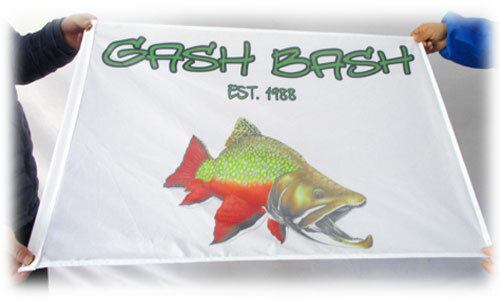 Many of our team members have been making flags for over 20 years. Due to our extensive experience and use of innovative technology, we are proud to say that we supply flags to happy customers all over the world! Pictured below are the standard parts that come with every flag. However, some parts, like eyelets, can be customized. 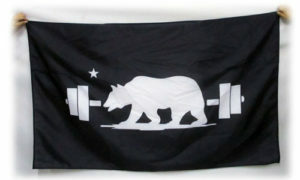 For example, if you are ordering a flag with a hand wave pole, you should choose a sleeve pocket. 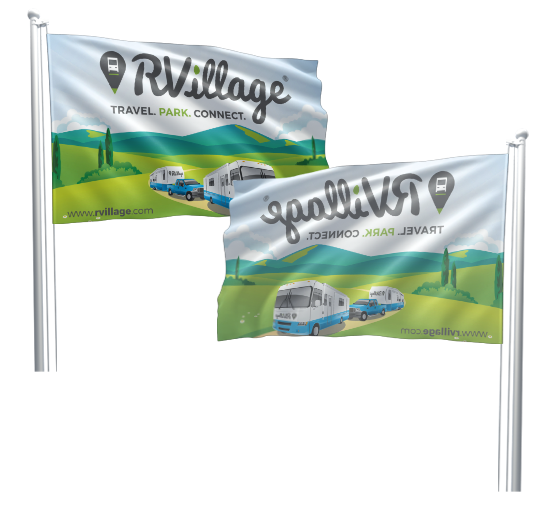 Each standard flag will be finished with two rows of stitching, a heavy-duty header, and it will be printed on 200D polyester that is perfect for outdoor use. 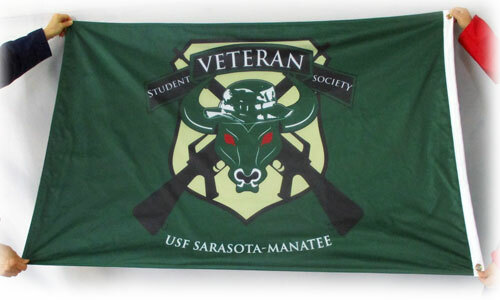 We also print nonstandard flags too, which means you can customize these features and more. A single sided flag is the most common choice at The Flag Makers because it costs less than a double sided flag. 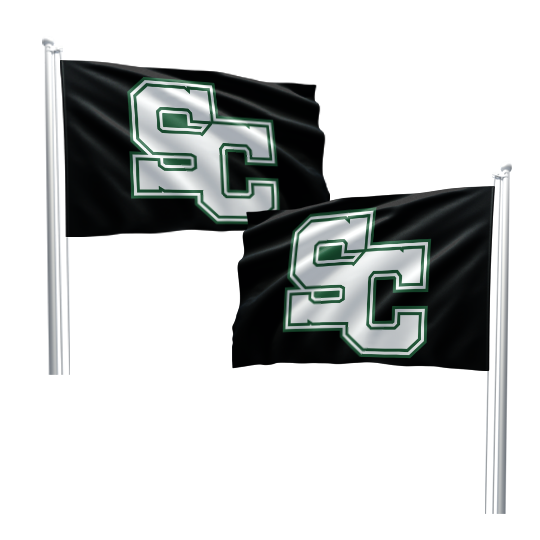 Single sided flags are also much lighter than double sided flags, which means they will fly better in the wind. At The Flag Makers, we secure all of our double sided flags with a middle layer of black-out material. This prevents the opposite side of the flag from being visible in bright lighting conditions. 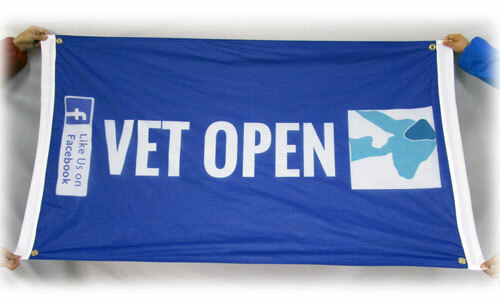 Our custom flags include a wide range of options that make them quick and easy to display. From standard two half-inch grommets to sleeve pockets and rope and toggle fixtures, we have choices that are perfect for poles, clips, hooks and more. 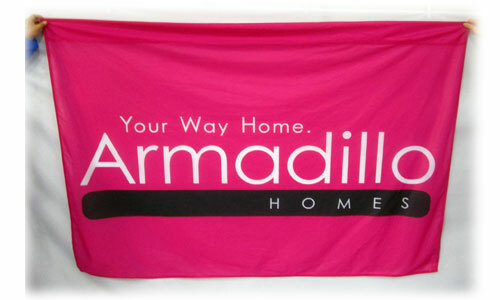 100D polyester is a good choice for promotional use because large runs are extremely affordable. 200D polyester is for personal and business use. These flags can also be hung outside on flag poles. 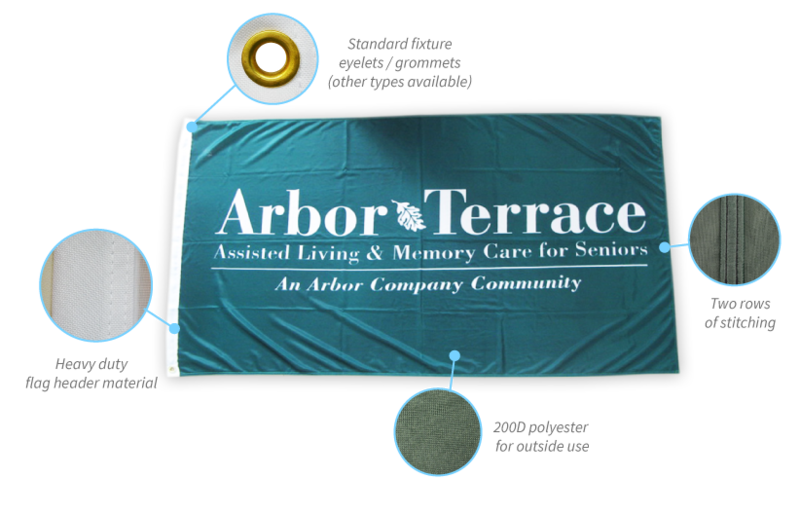 500D woven polyester is the best choice for windy areas and flags that will be exposed to harsher conditions on a regular basis. 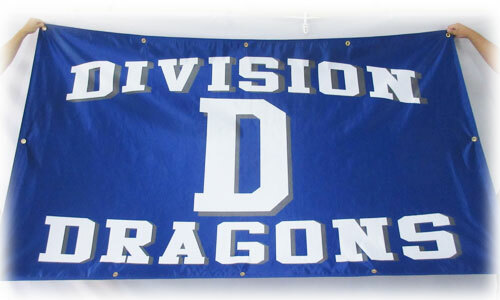 Each flag has options for hanging and can be made with a single sided or double sided design. 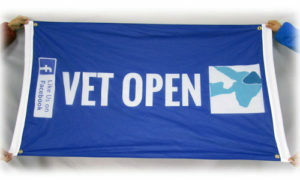 Our flags feature high resolution, digitally printed images that are enhanced with UV protection. For large runs, silk screen printing is an option. We also match PMS colors to ensure logos and images on your flag are true to color. What can custom flags be used for? Custom flags are used for personal, business, and promotional use. 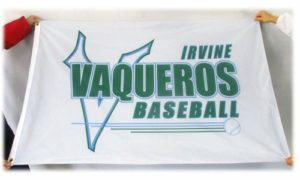 They can be used outdoors and indoors at sporting events, tradeshows, and much more. They can be used as a display or for marketing purposes. 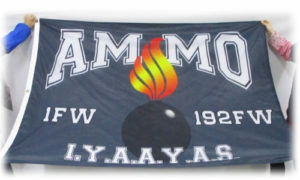 We have a flag that’s perfect for everyone! Polyester offers greater durability, especially in windy conditions. Polyester is less likely to rip or become pierced than nylon. It is weather resistant, fades less than nylon, and is suitable for prolonged exposure outdoors. Polyester has a matte appearance, while nylon has a bit of sheen. Tell us more about how you’ll be using your flag and we can provide you with a professional recommendation. Do you sell flag poles? We do not sell flag poles. Our focus is on hiring and training highly skilled flag makers and using the best printing machines, inks, and processes to create stunning flag products. Because we’re so passionate about flags, we just don’t have time for anything else! Our inks have UV protection, which means they will resist the sun’s rays, but they aren’t completely UV-proof. Over time, direct sunlight can cause fading. But, without our UV protected inks, you would notice fading much more quickly. How well does a single sided flag fly? If you are in a low wind area, a single sided flag is a great choice because it is lightweight and will fly easily. 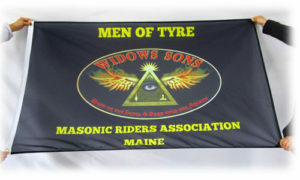 Double sided flags are only recommended in extremely windy areas where single sided flags may become torn or damaged. How well does a double sided flag fly? A lot more wind is needed to fly a double sided flag because they are constructed with three layers of material. The benefit is that double sided flags last longer and allow your artwork to read correct on both sides. 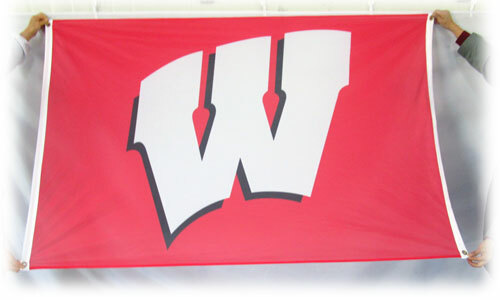 They are the best choice for windy areas and for promotional use. 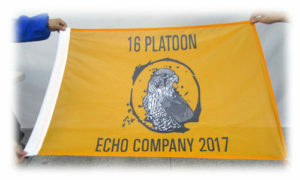 What are the most common sizes for custom flags? The standard size of a custom printed flag is 3 ft. x 5ft. This size fits a 20 ft. flag pole perfectly. 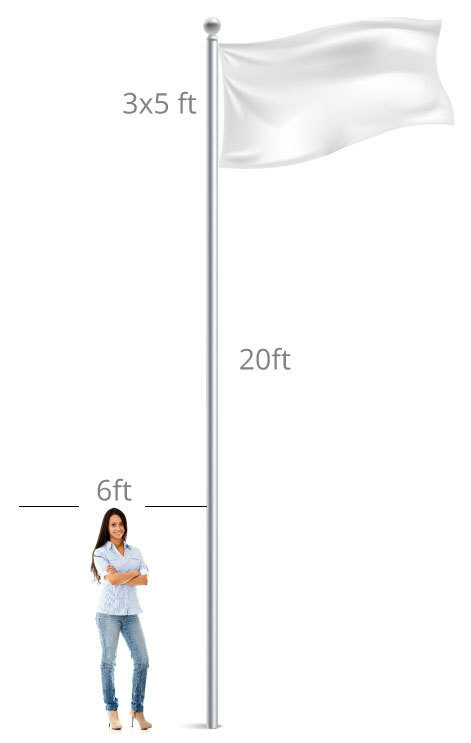 What size flags fit other size flag poles? Are embroidered flags an option? We do not offer embroidered flags at this time. Does multi-color printing cost more? No. Printing with 1 color or 100 will cost the same. The best thing about digital printing is that it’s easy to print multiple colors at the same time, which means it’s more affordable than other printing processes. Are your flags fire resistant? They are heat resistant, but they are not designed to be fire resistant.